With their eighth-round pick (238th overall) in the 2016 MLB First-Year Player Draft, the Red Sox selected Alan Marrero, a catcher from the International Baseball Academy in San Juan, Puerto Rico. 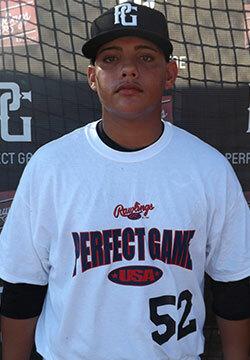 Marrero was ranked 445th by Baseball America, but was not ranked by MLB.com or Perfect Game USA. Listed at 5-foot-10 and 195 pounds, the 18-year-old is considered the top defensive catcher from Puerto Rico this year, according to Baseball America. His above-average arm and blocking and receiving skills are cited as reasons for that distinction. However, the same publication went on to write about the questions regarding his offensive ability. He has some bat speed and potential at the plate, but he is currently raw and will need time to develop. Marrero is currently committed to Alabama State.